Raising investments for your startup can be challenging and sometimes frustrating process. As in personal life matching with the right partner can set a cornerstone for your future well being. Entrepreneurs are often tempted to settle with a first available option to them. We think evaluating all options carefully and focusing your efforts on engaging with the right partner is a key to at least short term success of your startup. We are meeting many entrepreneurs with great ideas, but often we see that the lack of preparation and/or presentation skills puts them in a weak position in front of investors or customers. Below we outline the common characteristics of the good pitch presentations, that we hope will help you to be more prepared when approaching fundraising process. What you should cover in your presentation? Purpose: Why are you here? What product are you building? Problem: What problem are you solving? How is this addressed today and what are the drawbacks of current ways of solving it. Product: How will your product help to solve the problem? What is so special about your product? Market opportunity: Who is going to buy your product? Is there a market for it? Is it growing? Sometimes there is no market for your product so you need to create it. Competition: What major competitors offer similar products/services? How are you going to win the competition? Business model: How are you going to generate revenue? Team: Who are the founders and other team members? What drives you? What makes a pitch appealing? Tell a story: relate to your personal experience. Be as clear as possible: the clarity and preciseness of the deck are more important than number of slides. 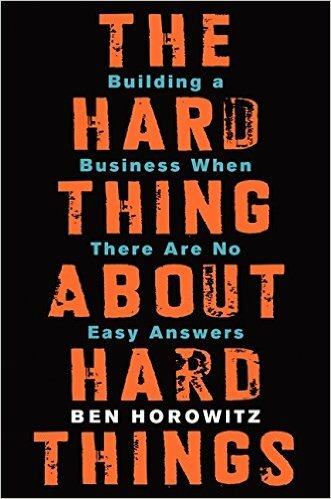 Ben Horowitz, co-founder of Andreessen Horowitz and one of Silicon Valley’s most respected and experienced entrepreneurs, offers essential advice on building and running a startup—practical wisdom for managing the toughest problems business school doesn’t cover, based on his popular ben’s blog. Too many of today’s most prominent management gurus make steel-clad guarantees based on claims of irrefutable research, promising to reveal the secrets of why one company fails and another succeeds, and how you can become the latter. 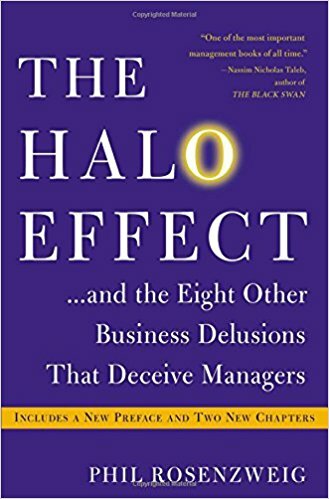 The Halo Effect not only identifies delusions that keep us from understanding business performance, but also suggests a more accurate way to think about leading a company. “Correlation is not causation.” This mantra, chanted by scientists for more than a century, has led to a virtual prohibition on causal talk. Today, that taboo is dead. The causal revolution, instigated by Judea Pearl and his colleagues, has cut through a century of confusion and established causality–the study of cause and effect–on a firm scientific basis. 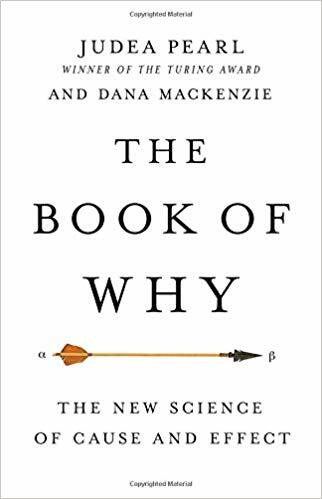 His work explains how we can know easy things, like whether it was rain or a sprinkler that made a sidewalk wet; and how to answer hard questions, like whether a drug cured an illness. Pearl’s work enables us to know not just whether one thing causes another: it lets us explore the world that is and the worlds that could have been. It shows us the essence of human thought and key to artificial intelligence. 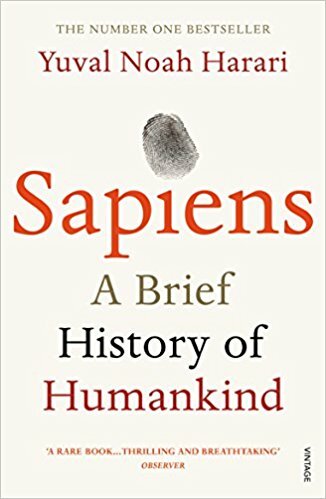 Human history has been shaped by three major revolutions: the Cognitive Revolution (70,000 years ago), the Agricultural Revolution (10,000 years ago), and the Scientific Revolution (500 years ago). 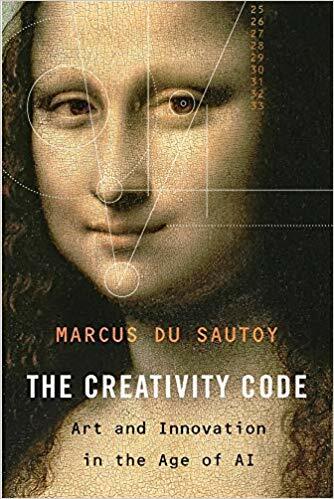 These revolutions have empowered humans to do something no other form of life has done, which is to create and connect around ideas that do not physically exist (think religion, capitalism, and politics). These shared “myths” have enabled humans to take over the globe and have put humankind on the verge of overcoming the forces of natural selection. 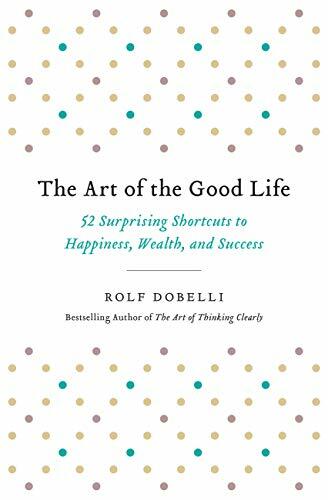 Since antiquity, people have been asking themselves what it means to live a good life. How should I live? What constitutes a good life? What’s the role of fate? What’s the role of money? Is leading a good life a question of mindset, or is it more about reaching your goals? Is it better to actively seek happiness or to avoid unhappiness? Each generation poses these questions anew, and somehow the answers are always fundamentally disappointing. Why? Because we’re constantly searching for a single principle, a single tenet, a single rule. Yet this holy grail–a single, simple path to happiness–doesn’t exist. 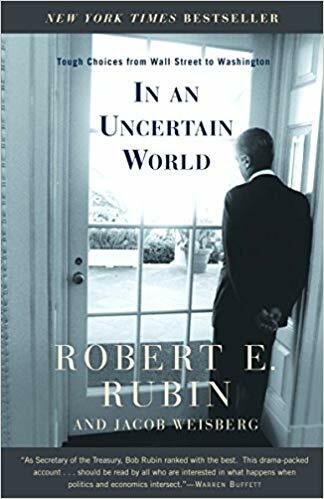 From his early years in the storied arbitrage department at Goldman Sachs to his current position as chairman of the executive committee of Citigroup, Robert Rubin has been a major figure at the center of the American financial system. Rubin’s fundamental philosophy is that nothing is provably certain. Probabilistic thinking has guided his career in both business and government. We see that discipline at work in meetings with President Clinton and Hillary Clinton, Chinese premier Zhu Rongji, Alan Greenspan, Lawrence Summers, Newt Gingrich, Sanford Weill, and the late Daniel Patrick Moynihan. 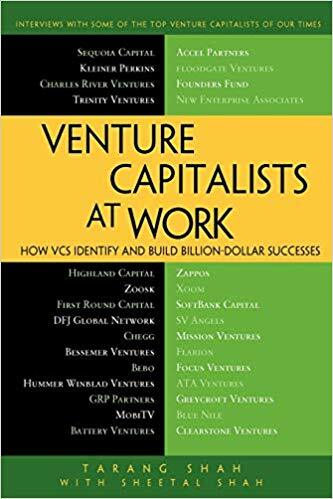 Venture Capitalists at Work: How VCs Identify and Build Billion-Dollar Successes offers unparalleled insights into the funding and management of companies like YouTube, Zappos, Twitter, Starent, Facebook, and Groupon. The venture capitalists profiled among the best in the business also reveal how they identify promising markets, products, and entrepreneurs. Author Tarang Shah, a former venture capitalist himself, interviews rising VC stars, Internet and software investment pioneers, and venture investment thought leaders. 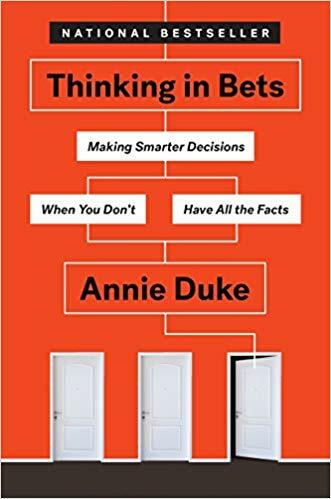 You’ll learn firsthand what criteria venture capitalists use to make investments, how they structure deals, the many ways they help the companies they fund, avoidable mistakes they see all too often, the role of luck in a success, and why so many startups fail. Entrepreneur-turned-educator Steve Blank is credited with launching the Lean Startup movement. His blog has an extensive collection of useful tools to anyone interested in starting a new venture. Comprehensive up-to-date news coverage on Machine Learning, aggregated from sources all over the world by Google News. Tom Tunguz is a principal at Red Point Ventures. 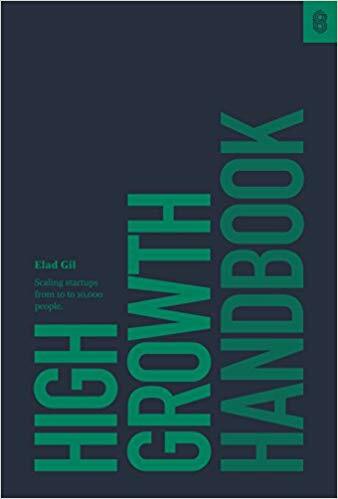 He blogs daily, and writes data-driven blog posts about key questions startups (mostly SaaS) face including how to raise, startup benchmarks, management best practices and team building. a16z podcast by Andreessen Horowitz, discusses tech and culture trends, news, and the future – especially as ‘software eats the world’. Sam Altman and the folks from Y Combinator offer up an amazing course in “How To Start A Startup” at Stanford. Course includes lectures from: Sam Altman, Dustin Moskovitz, Paul Graham, Adora Cheung, Peter Thiel and many others. Notes from Stanford’s “Technology-enabled Blitzscaling”, Reid Hoffman, Chris Yeh and others.